From an hour to a day, service and professionalism from beginning to end. 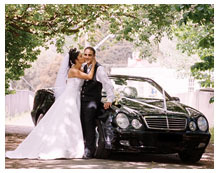 When choosing Formal Car Hire, you will receive a caring and professional chauffered service. Our chauffer is not only your driver but your personal assistant. He or she is well prepared before your pickup and endeavours to get you to your destination safely and on time. We cater to your specific needs. Enquire today. Also make sure you enquire about our limited catering service which includes refreshments and food hampers whilst on location. Formal Car hire will greet you at your terminal and assist you with your luggage. Our luxurious transport service ensures that you arrive at your meeting refreshed and ready for business. Airport Parking with Permit is organised prior to your arrival. Let us show you the sights of Melbourne and country Victoria seated in the comfort of one of our luxury limousines. It will be pure pleasure viewing the various city sights and locations while sipping a glass of chilled champagne. Let us take you on a winery tour through the Yarra Valley or treat yourself to a shopping expedition. Arrive in style on Melbourne Cup Day or allow us to pack up your golf clubs and take you on an excursion to one of our magnificent golf courses. The choice is yours.